FISH ON FRIDAY! This week it’s all about eating fish on Good Friday. Historically, Christians ate fish on Friday, because every Friday was a fast day. Fasting involved avoiding meat as it used to be a luxury food which only rich people could afford. Fish, on the other hand, was easily caught, so was considered poor people’s food. Hence, the most common form of fasting was to omit meat and eat fish. There are many ways to cook fish and shellfish and many flavour combinations. 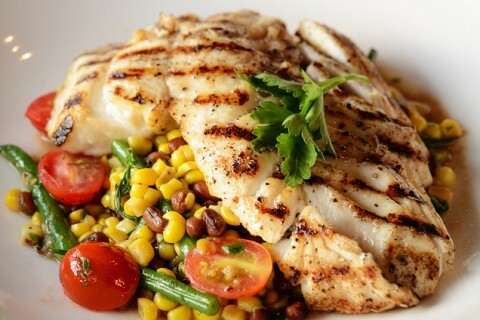 Most fish have a very delicate texture and a surprisingly short cooking time, so it’s easy to over-cook it. Here are some general guidelines. There are two main types of cooking: the dry heat method (baking and roasting) and moist heat methods of cooking. The former is designed for fast cooking of food that doesn’t require tenderising and gives additional flavour. Moist heat method is a gentle method of cooking and designed for food that requires tenderising or a longer, gentler method if the food to be cooked is delicate. Cooked in the oven, the fish is baked with a small amount of liquid to create steam and help prevent the seafood from drying out until done. The oven temperature varies from moderate to moderately hot at Gas mark 4-5 (180- 190C) depending on the recipe. The oven should always be pre-heated to the required temperature. The food is cooked, uncovered, on a baking sheet or wrapped in foil. the length of time will depend on the type of fish and thickness of fish/fillet/steak being cooked. Historically – traditional roasting was done over a roaring fire with the food skewered onto a spit and turned until cooked. Most people associate this with big pieces of meat, but in the 14th and 15th centuries large river fish including pike and carp were skewered onto a spit, with butter sewn into the belly to baste the fish and then turned over an open fire until cooked. These days roasting involves meat or fish cooked in a high temperature oven at Gas Mark 6–8 (200C-220C). A fast method of cooking ‘en papillote’ involves cooking at a high temperature and the seafood wrapped securely in a paper case or in foil parcel with or without a squeeze of lemon. This method is a combination of baking and steaming as the fish cooks in its own juices and traps in all the flavour of the fish – which is then enjoyed by the diner – who opens the parcel at the table. 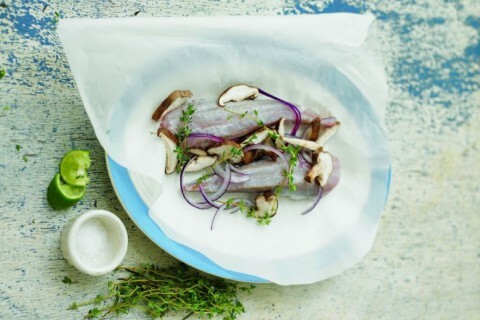 The key to successful “en papillote” is to wrap the fish securely with a small number of ‘aromatics’ including a herb, squeeze of citrus and a spice. It is ideal for fresh fish and an excellent way to cook low fat food. This increasingly popular method of cooking is ideal for some types of seafood but, because it is fast and furious, it must be cooked carefully, as over-cooked seafood will dry out in the intense heat of a BBQ. 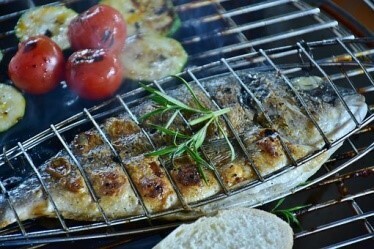 Seafood needs to be marinated or wrapped in a double layer of foil to prevent it from drying and burning. Shellfish: Raw shell-on prawns (shell prevents them from drying) Cuttlefish steaks. There are several methods of frying. Some using very little oil and others a large quantity for deep-frying. Stir-frying uses different oils. In Oriental cooking, peanut oil is often used, while rapeseed is also a good option. Sesame oil is not ideal for frying as it is already toasted, and a second heating will burn it, becoming bitter. It can be added right at the end of cooking to add flavour. Some brands make a ‘stir-fry’ or ‘wok’ oil that has a little sesame oil to lift the flavour. Shallow-frying is usually done using vegetable oil (rapeseed) as it can reach a high temperature without burning. Pan-frying depends on the fish to be cooked. 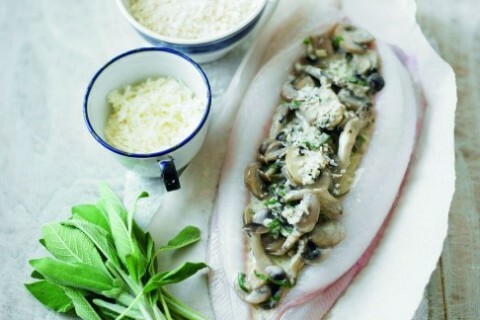 Butter gives the best flavour or a combination of butter and oil if the fish requires longer cooking. Deep-frying also depends on the fish and the desired result. Many fish and chip shops use beef dripping, but rapeseed oil is a good substitute, as it doesn’t contain large quantities of saturated fat. ‘Healthy’ frying!? Many chefs are choosing to fry in coconut oil. This works well as it does not burn and gives a delicate result. Anything that fits easily into a frying pan. This intense method of cooking is excellent for small fillets or loins of fish. The golden rule of grilling is to ensure that the grill is up to temperature and glowing red at the start of cooking. The fish will have a chance to brown and take on a good colour. Although cooking whole fish on the bone helps retain the moisture of the fish, grilling fillets is one of the quickest and easiest methods. Cooking the fillets skin side uppermost ensures the fish doesn’t dry out as the skin protects the delicate flesh underneath, but the fillet will not need turning and cooking on the second side, as the intense heat of the grill heats the baking tray and the fish then cooks evenly.